Go home chicken, you’re lady-drunk. The ladies love their white wine and the sauce in this recipe is more wine than sauce, but it was tasty nonetheless, so I include here for your cooking pleasure. Please remember to cook safely: don’t drink and dice. Place each chicken breast half between 2 sheets of heavy-duty plastic wrap; pound to 1/4-inch thickness using a meat mallet or small heavy skillet. Sprinkle chicken breasts evenly with salt and freshly ground black pepper. Add chicken to pan; cook 3 minutes on each side or until done. Remove chicken from pan; keep warm. Add wine, broth, and garlic to pan, scraping pan to loosen browned bits; cook 2 minutes. Add asparagus; cover and cook 3 minutes or until asparagus is crisp-tender. Remove from heat; stir in parsley and juice. 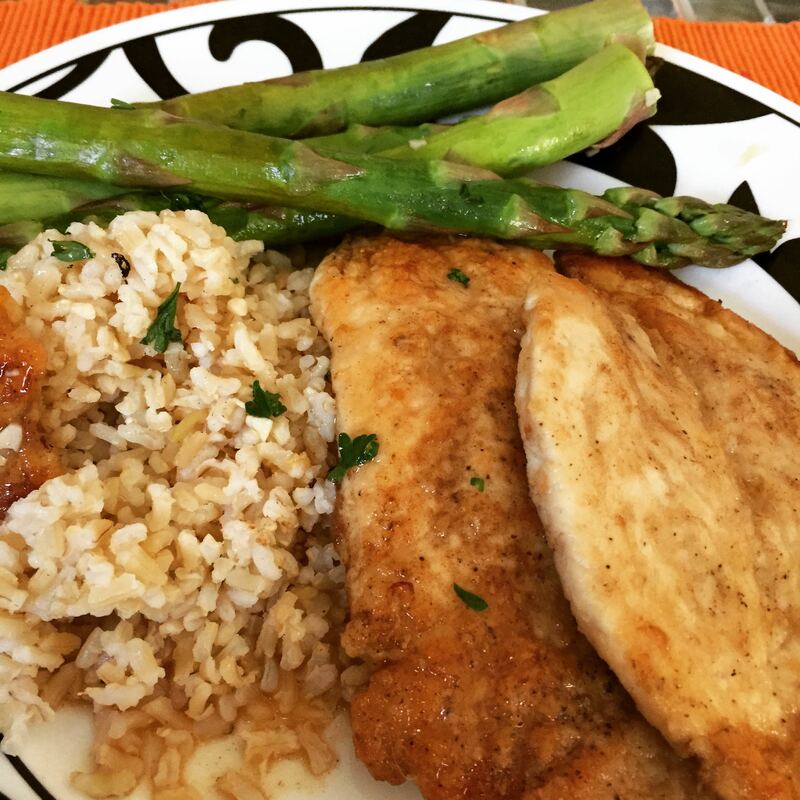 Serve asparagus and sauce with chicken. I love the safety warning- I have had a few scares drinking and dicing before!